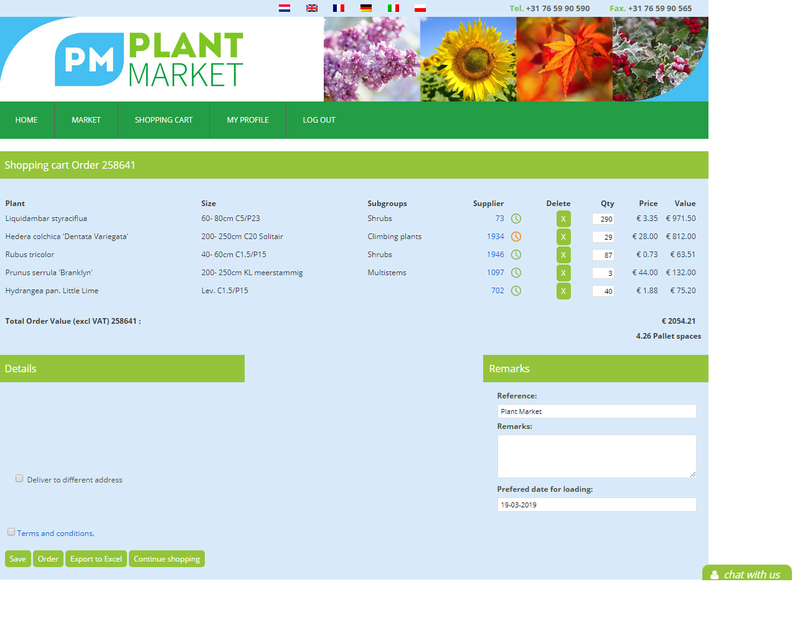 Plant Market is an export-wholesaler. We only conduct business with professionals! 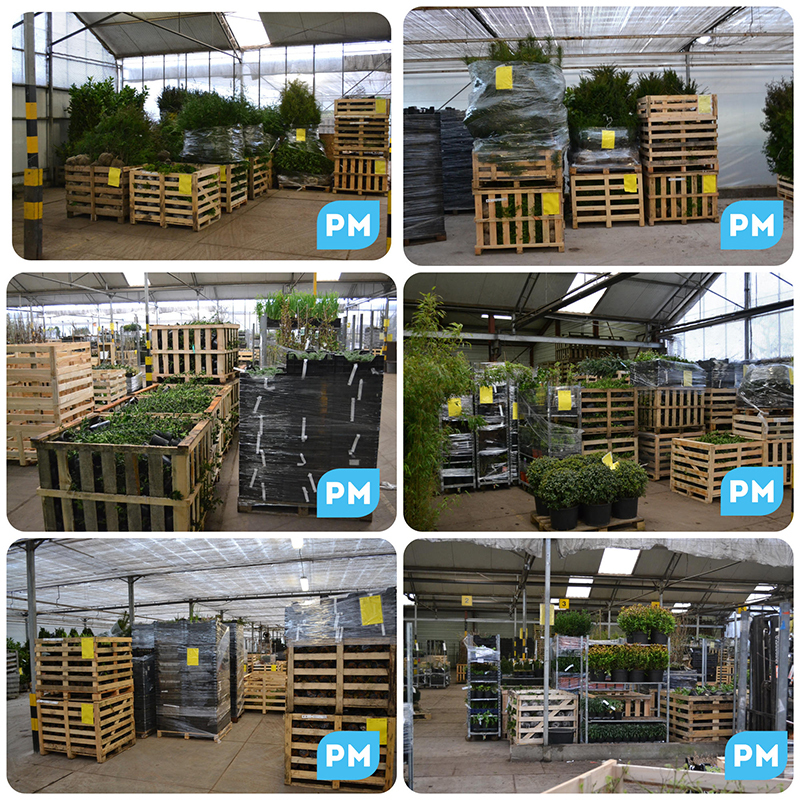 Through our webshop we provide our customers with market information; 24 hours a day, 7 days a week. 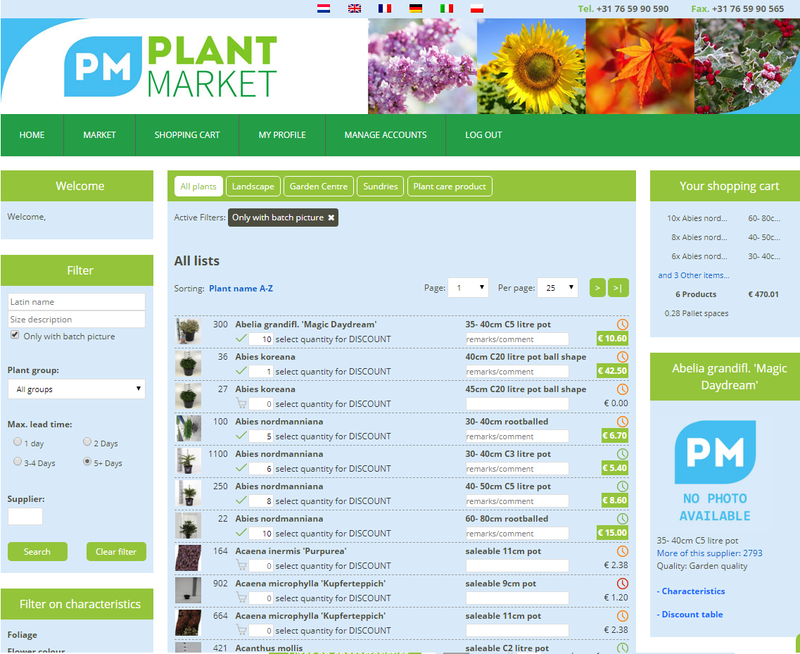 Within this webshop you will find more than 4.000 different plant species. Are you a professional and looking for a wide range of products? Register today and receive acces! Delivered prices means a delivery to your home address from an agreed minimum delivery-value. This value depends on the area you are based with your facility. This will be communicate to you by e-mail after your registration. Including packaging means that the packaging is included in the plant-price.